What’s new in regards to eats and treats in Disney World? What’s changed? Have any menu items bid us farewell? Read on to find out what has caught our eye lately! 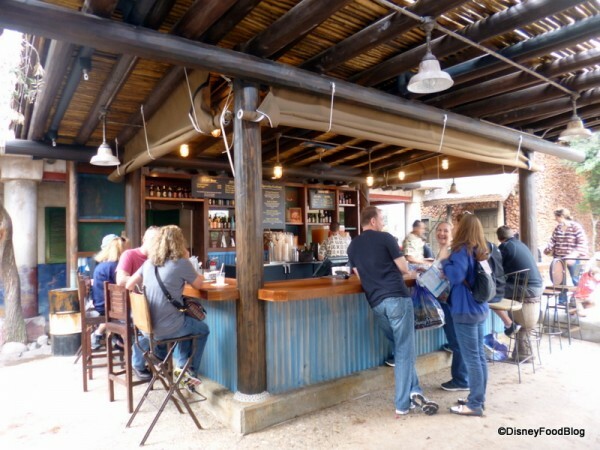 The Dawa Bar in Africa’s Harambe Village has moved and received a makeover! 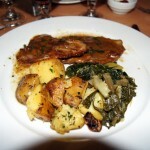 Check out the full scoop here. 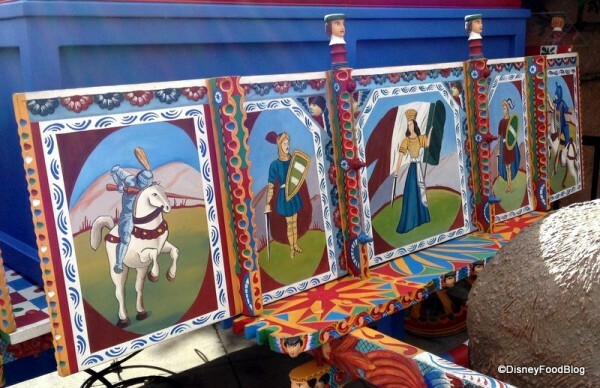 And thanks to Avatarland, we bid adieu to the Camp Minnie-Mickey character greeting area. 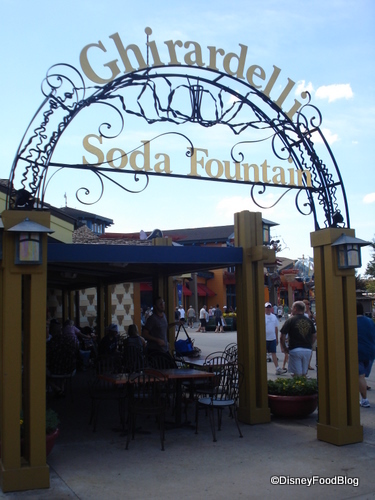 This space had two snack kiosks: one for funnel cakes and the other for hot dogs and pretzels. 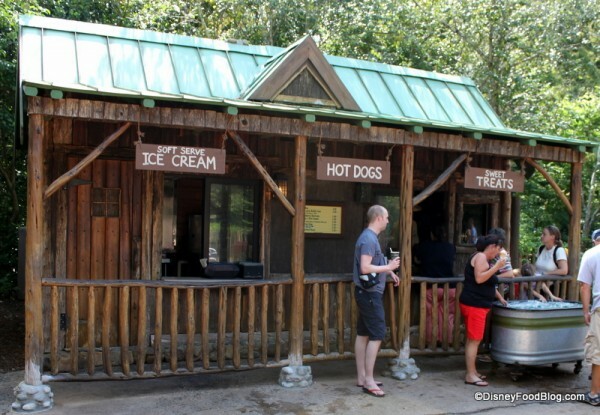 You can still grab a terrific hot dog over at Restaurantosaurus… a Mac & Cheese Dog, to be precise! And those beloved Mickey Pretzels can be found in the Harambe Fruit Market (including the Jalapeno Cheese-stuffed Pretzel!). Mr. Kamal’s (a kiosk devoted primarily to vegetarian selections) recently revamped the menu. 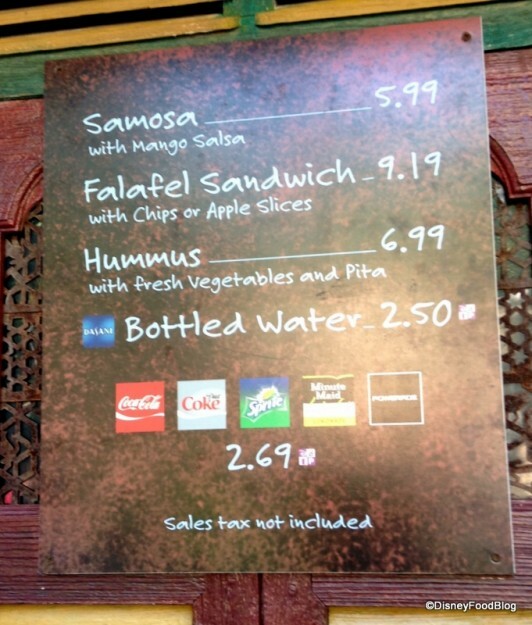 Pick up samosas, falafel sammies, and hummus with veggies! It’s worth scoping out Bradley Falls (directly across from Mr. Kamal’s), to see if it is open on your visit. It’s typically open during busy days, and the most recent menu showed that the Edamame and Asian Noodle Salad are options there along with a brand new Thai Coconut Soup! 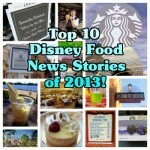 Check out some of these goodies in our DFB Guide to Hollywood Studios and Animal Kingdom Snacks! Changes both big and small have come to Epcot. The biggest news, of course, being that Spice Road Table is open and ready to serve up small plates alongside some amazing water views! 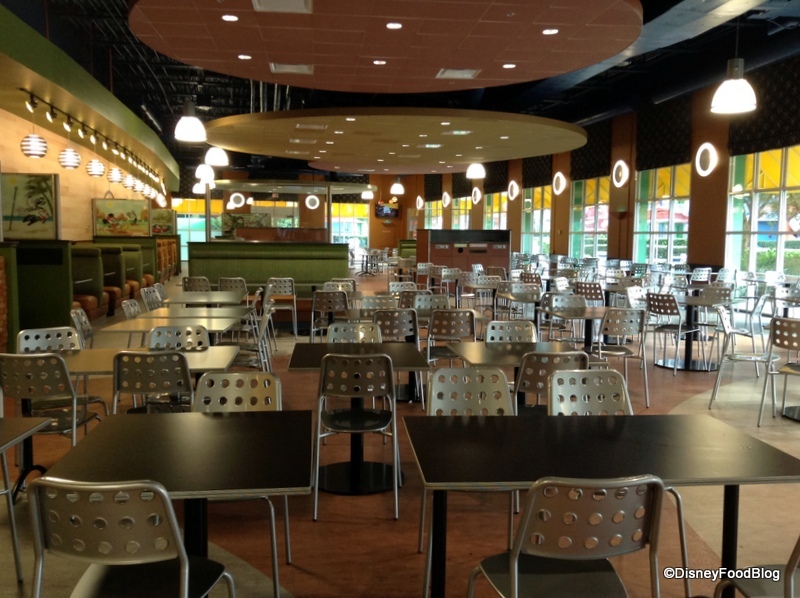 We’re enjoying every aspect of this new space! You can read about everything from the atmosphere to the food (with more to come) in our series of reviews, but we’ll tempt you with a few glances in the meantime! 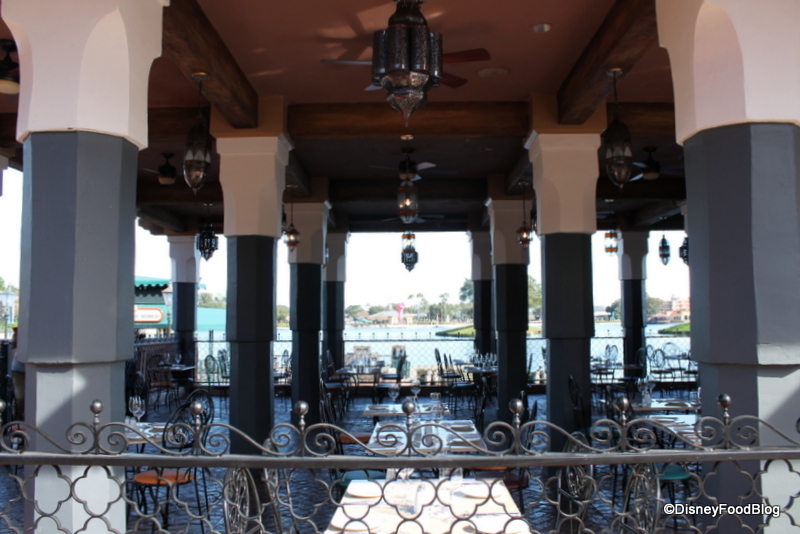 Promenade Refreshments had a dedicated holiday menu throughout December. It’s ringing in the New Year with a refreshed menu featuring Meatball Subs, cookies, glazed almonds and pecans and Frozen Mojitos. 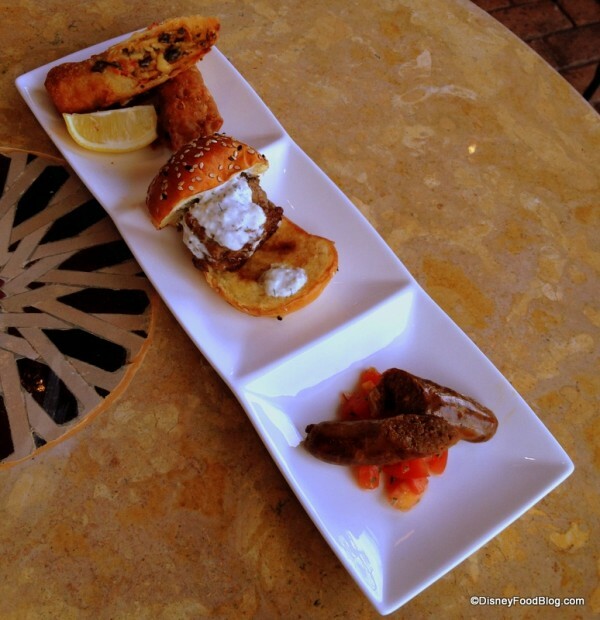 Not the most traditional mix of goodies, perhaps, but we’ll take it! 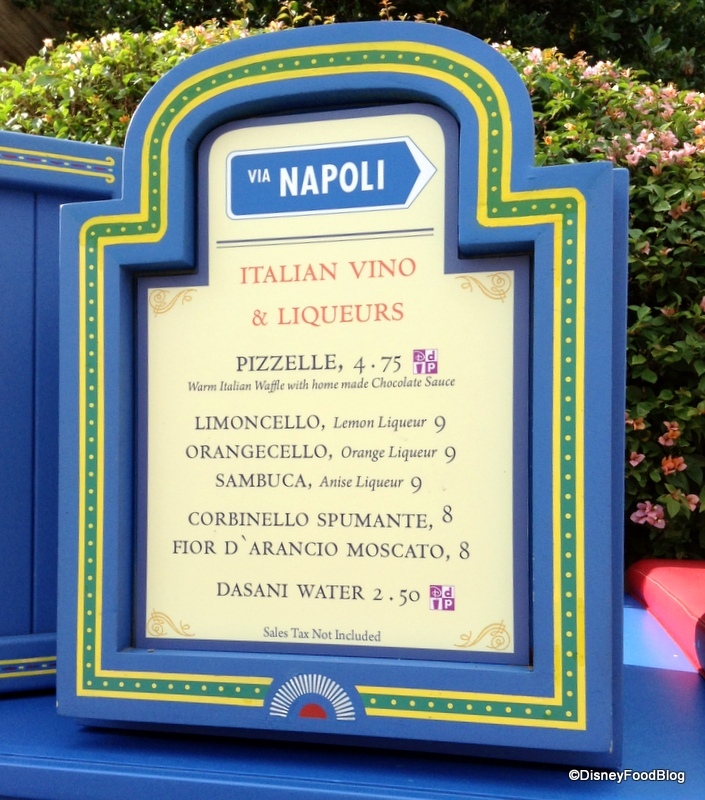 If you’ve ever spied this lovely little cart in the Italy Pavilion, you may want to take a closer look at the menu to see what’s new! Sponsored by Via Napoli, you can now grab a Pizzelle (learn from my mistakes, friends – this is not a teeny pizza 😉 ). A Pizzelle, as it turns out, is a warm Italian waffle with house made chocolate sauce. A small selection of liquers and sparkling wines are available as well. It’s out in the open, and worth stopping by to check out the details in the artwork alone! 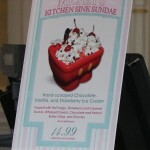 Has anyone tried either of the new sundaes at Ghirardelli? We’d love to hear what you think of the Sea Salt Caramel Sundae (otherwise known by its San Francisco-inspired name, “Ocean Beach”) or the Black Forest Cherry Sundae (“Muir Woods”)! 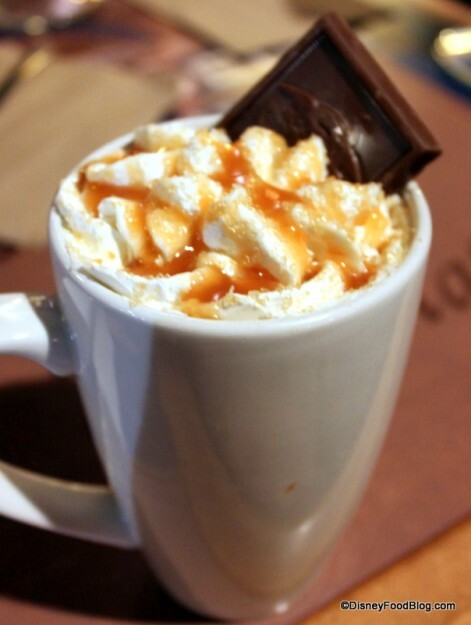 We’re big fans of the Sea Salt Caramel Hot Cocoa (and are especially glad for it during these cooler January temps), so we’re willing to bet that the new Sea Salt Caramel Sundae is right on par! 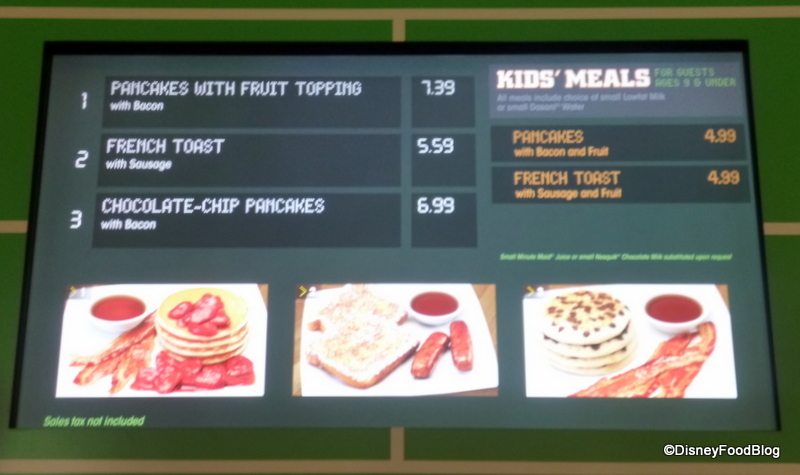 We had a chance to stop by the recently refurbished End Zone Food Court at All Star Sports to check out the breakfast menu. Along with some traditional Disney favorites (including the Bounty Platter and Mickey Waffles), this is also the place you can start your day with Chocolate Chip Pancakes… Good morning!! 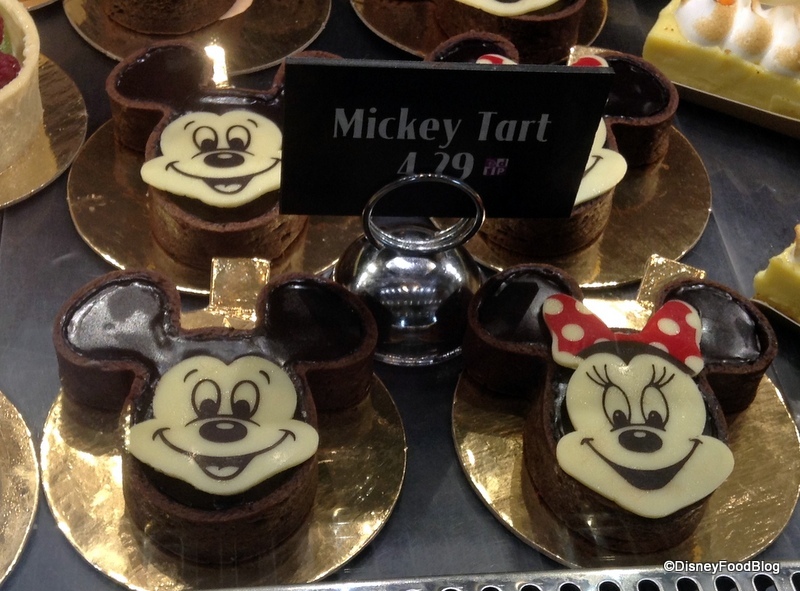 Okay, this last one is just too cute… You may be familiar with the Chocolate Mickey Mouse Tart at BoardWalk Bakery (found in a few other spots as well). But we are happy to report that his girl Minnie Mouse has made her return to the BoardWalk 🙂 ! It had been a while since we’d seen her… Welcome back, Minnie! 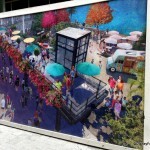 We’ll be sure to keep you posted about future additions and changes. In the meantime, Eat and Be Happy! 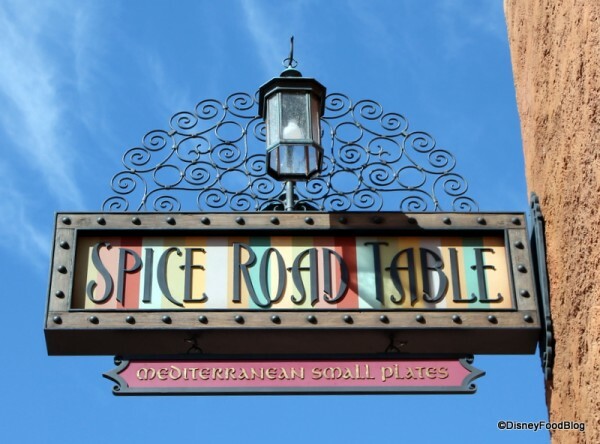 Do you know if there is any gluten free food at wdw or Epcot? We make pizzelle’s every year for Easter & Christmas. No pictures of the Via Napoli offering? 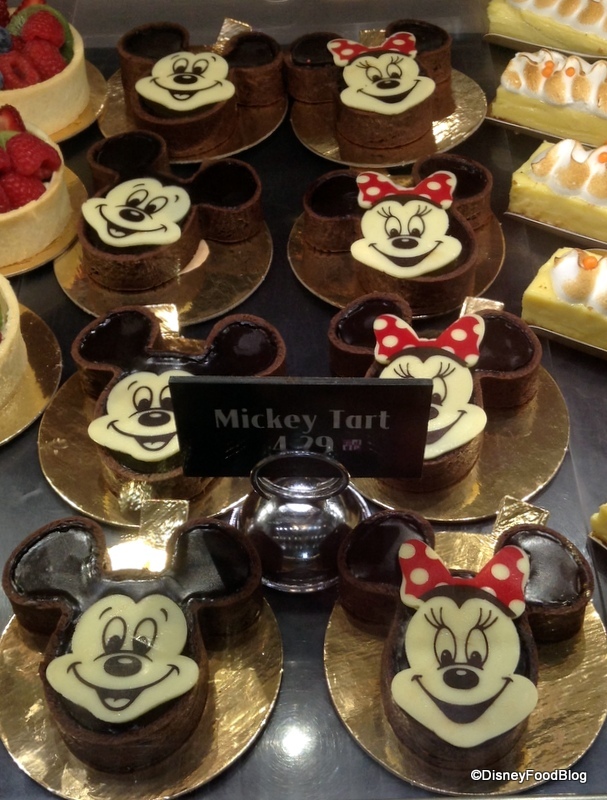 The Minnie tart is so cute; I can see one with a Mickey tart going home with me on my next trip. 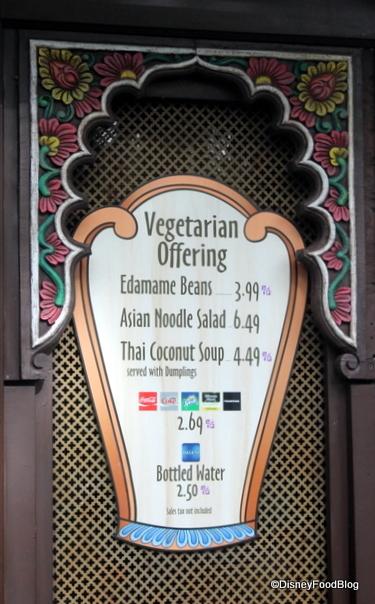 The vegetarian carts at Animal Kingdom are a big improvement over what was available before in that area (the Yak and Yeti outdoor counter service still has nothing meat free except fries). I had the coconut soup which was pretty good, lots of veggies, big wontons. I didn’t get to try the samosas this last time, but I remember eating them before and they were good then. Wish I could remember where else I got them. 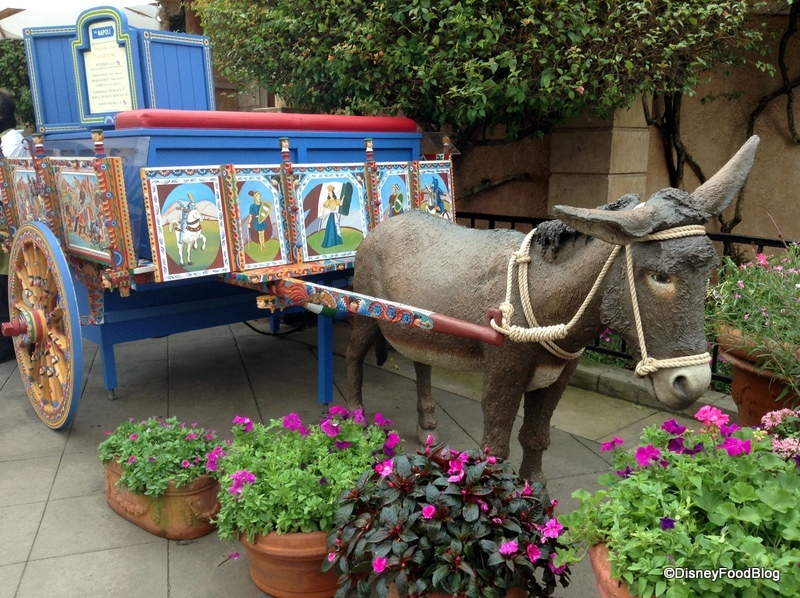 Is that Dominick, the Italian Christmas Donkey? LOL! Ugh. Pizzelles (which is grammatically incorrect, since pizzelle is already the plural form in Italian) are not waffles. They are a cookie that is made on a waffle like iron – a waffle. That is pretty much where the similarity ends. 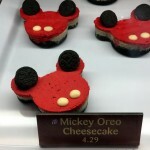 I would assume these are not made with anise either. And thus, to me, not an actual pizzella, but just an imitation Italian waffle cookie. Yeah, I am a real purist about this. 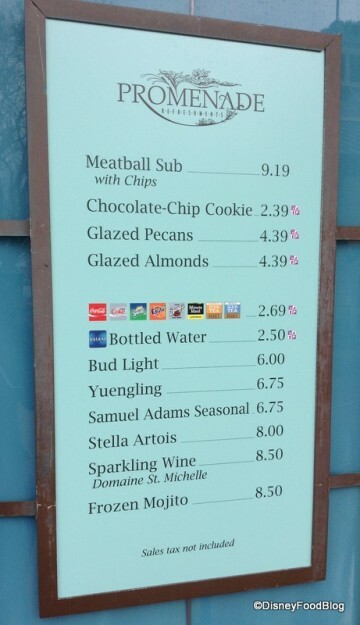 Disney is very “gluten free friendly”. At sit down restaurants, just ask your server and a chef will come out and walk you around the buffet or make something for you. 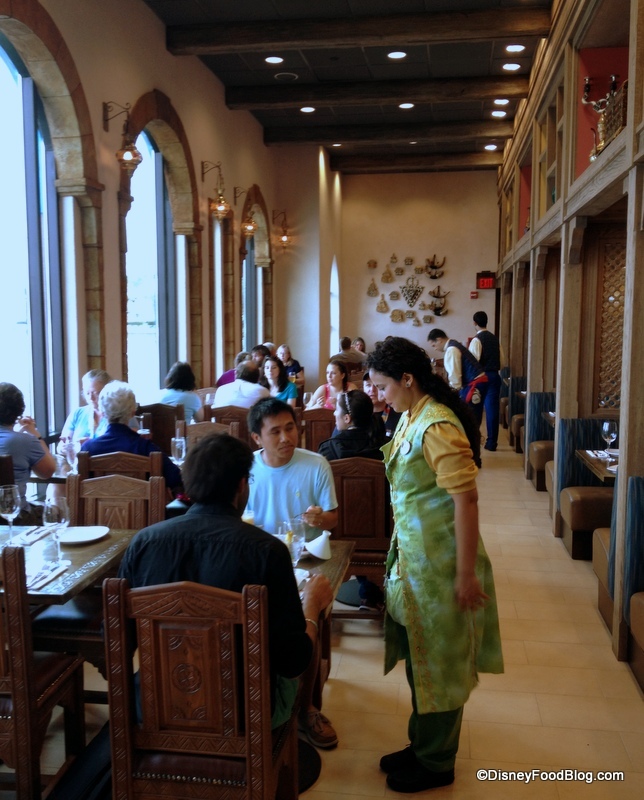 Same goes for counter service, you just may have to wait a few minutes before someone comes to help you. Also, just a note: I went with a friend of mine to Raglan Road in Downtown Disney and she had the Gluten Free version of Fish & Chips and said it was one of her favorite GF meals of her trip. Hope you have a great vacation! 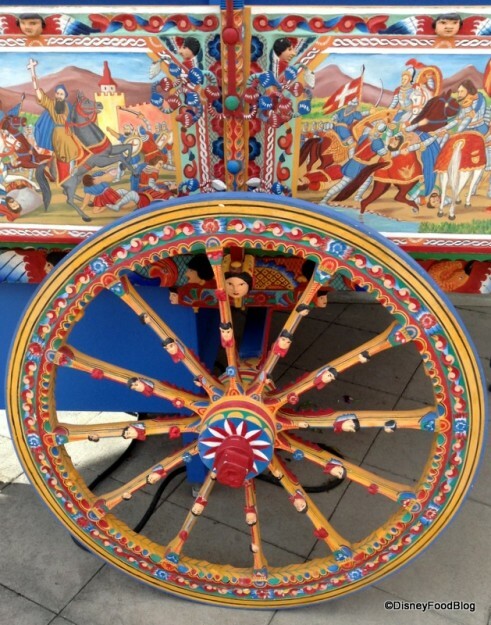 Sean – Cool tradition! 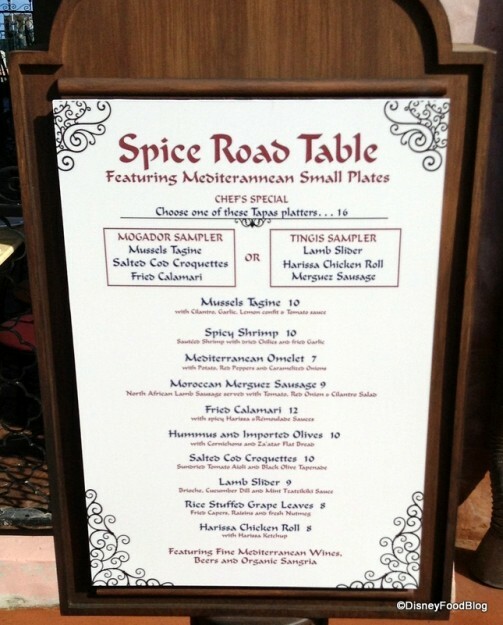 Unfortunately, I wasn’t able to sample it that day, but I’ll keep on the lookout in hopes we can grab some pics for you :)! Lala, thank you — that’s good info to know, so when we get the chance to check it out we can compare with what you’ve shared. A Pizzella is a new thing for me :). Karen, thanks for the note on the soup! (Yes, Marci, I’m right there with you! ).